What if your tedious hiring process and consultation issues are solved under one roof? In today’s fast paced world, companies are seeking holistically practical candidates, helping the owners run a smooth flow and rapid growth of organization. Impeccable and disciplined employee league reports to work daily and are confident and proficient at doing their business with full sincerity. But this is the basic issue which firms face, of not being able to gauge the perfect employee for their firm and this is where Fremont-based Canvas Infotech Inc. helps organizations find niche-skilled staff like business analysts, quality analysts, project managers, data analysts, and other technical consultants along with providing appropriate certifications. 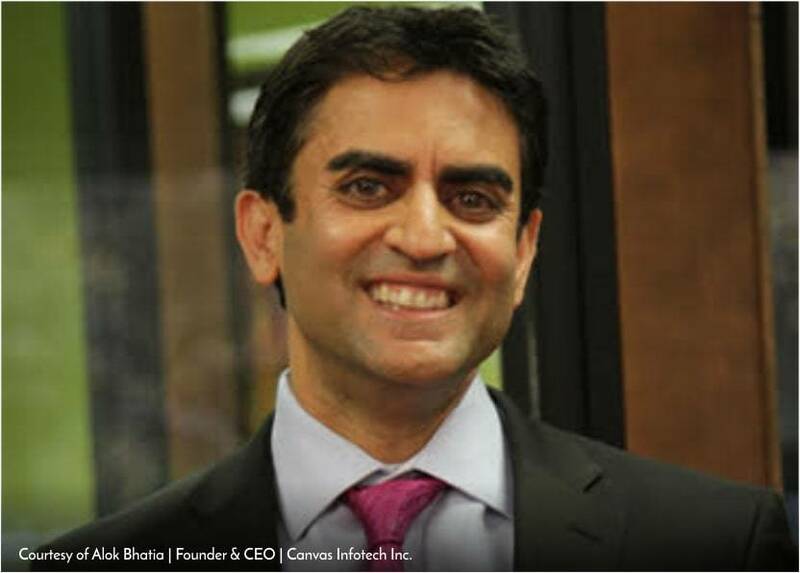 “Our clients recognize the value of our integrated approach that leverages both domain and technical expertise to devise the right solution for your career needs as a Business Analyst, Project Manager, Quality Assurance or Data Analyst Professional in the IT industry,” says, Alok Bhatia, CEO and President of Canvas Infotech Inc.
Having founded Canvas with Madhur Bhatia in 2006. Alok possesses over two decades of management, international business development, technology consulting, product management and software engineering experiences. He has worked in Silicon Valley behemoths like Wells Fargo Bank, Yahoo, Excite@Home, Synopsys, Ernst, and Young, etc. before starting Canvas InfoTech. Bhatia is of the view that supplemental staffing is a cost-effective approach to quickly augment an organization’s staff with precise skills for a specified period. Additionally, it also helps in increasing technical breadth. Canvas Infotech Inc. provides supplemental staffing that can help clients by freeing internal resources from the time-consuming hiring process of advertising, screening, and verifying credentials.“I am committed to providing cost-effective and quality services to companies that recognizes and promotes diversity in technologies, cultures, people and ideas, both within the company and in the markets where it does business. I interact with several international consultants which require some specific skill set,” says Bhatia. Having interacted with clients like Facebook, Google, Apple and ebay, he is ready to expand its operation globally, and plans to exponentially increase the number of consultants. Alok always wanted to share the IT knowledge that he had gained over the years with as many people as possible. It was in 2006 that his baby Canvas was born and since then he has provided successful lives to many families and at present it possesses over 250 strong consultants, offering to its clients temporary and permanent staffing. Canvas InfoTech is known to be a consortium of seasoned consultants with solid experience, working together in delivering success in ERP implementation, detailed business requirements gathering, creating SRSs, developing Web based applications, and building robust test cases for ERP implementations. “We not only provide solutions to your Business’ unique needs for standard ERP implementation, we also stay with you to assure that the quality of the end product is what you expected,” says Alok. Canvas Infotech Inc. works in several different verticals such as: Contingent Staffing: Canvas provides consultants for the duration of the project. Some of the core resources are business analysts, project managers, data analysts, quality analysts, technical writers, java developers and other technical resources. Full time, Permanent Jobs: The Company is working with over 50 direct clients all over the US: Facebook, PG&E, Veritas, Whirlpool Corporation, Procter & Gamble, Hawaii State Federal Credit Union, Epstein, touchCommerce, etc. to fill their full time jobs. Certifications: To help candidates get ready for the next promotion and get an edge over the competition, Canvas offers PMP, CBAP, CSM, CSPO, SAFe, PMI-ACP, MS- Project 2013, ITIL certifications. It is also getting into new certifications and training like Scaled Agile Framework (SAFe), CBAP (Certified Business Analyst Professional), Android Automation Testing, VB Scripting, etc. Canvas provides talent and sponsors visas like H1B, Green Card, etc. for candidates. The training portfolio is extremely vast. PMP, CBAP, CSM, CSPO, SAFe, PMI-ACP, MS- Project 2013, ITIL coupled with Canvas’ strong relationship to its consultants, growth opportunities for the staff and several ongoing training programs differentiate the company from its competition. The company has been very evidently delivering quality professionals and optimize business processes through a blend of on-site and offshore engagements for start-ups and Fortune 1000 companies. Currently, Canvas Infotech Inc. is working with over 50 direct clients all over the U.S., including Whirlpool Corporation, Procter & Gamble, Hawaii State Federal Credit Union, Epstein, Touch commerce, to fill their full-time jobs. Canvas consultants have been involved in planning and implementing of new software and applications growth in the industry for companies like Facebook, Apple, Wells Fargo, Google, Bank of the West, etc. Just like most other organizations, Canvas too had its own share of initial struggles which Bhatia had overcome and landed the firm to where it is today. Also, hard work, persistence, and perseverance of the extremely dedicated team, did pay the venture. Bhatia commemorates his success to the solid team of the company who readily understood the constant market change and adapted to all these changes accordingly. Canvas is hoping to be the number one staffing agency in the bay area and also the best training institute for certifications training in the near future. The focus will be on generating more direct clients in addition to currently assisting Facebook. India expansion is another focus area for the company. Job opportunities and InHouse programs are some of the projects on the anvil in India. Canvas Infotech Inc. is also expanding towards trainings for Big Data and JAVA development in addition to contract-based trainings for big corporations. “We intend to expand in India by creating job opportunities and in-house projects. We believe it all starts by being the right partner with our clients to grow big,” concludes Bhatia.